As part of our recent Arctic Theme in Preschool we had fun exploring penguins. 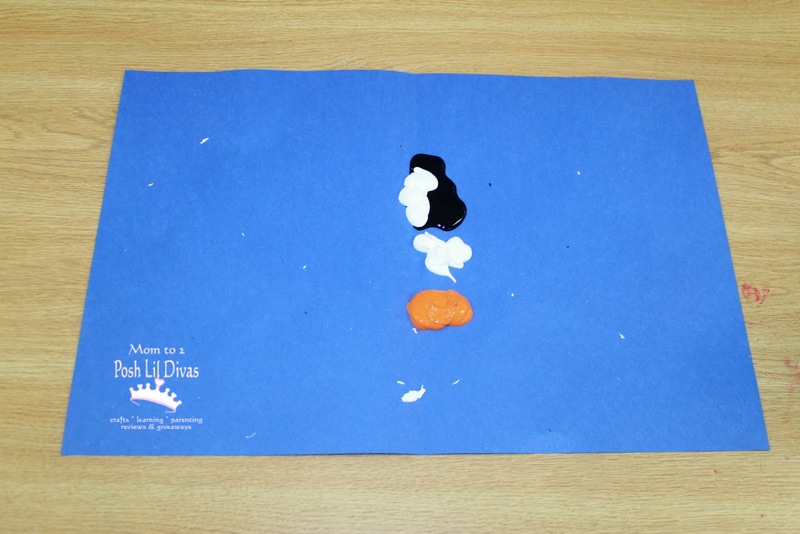 The children enjoyed fun mix of activities, art, crafts and play which helped them learn about arctic animals. I have to share one of my favorite art activities with you all because they turned out awesome and were so easy to make! Don't you want to make one? It's super easy, requires little prep and only a few materials. 1. 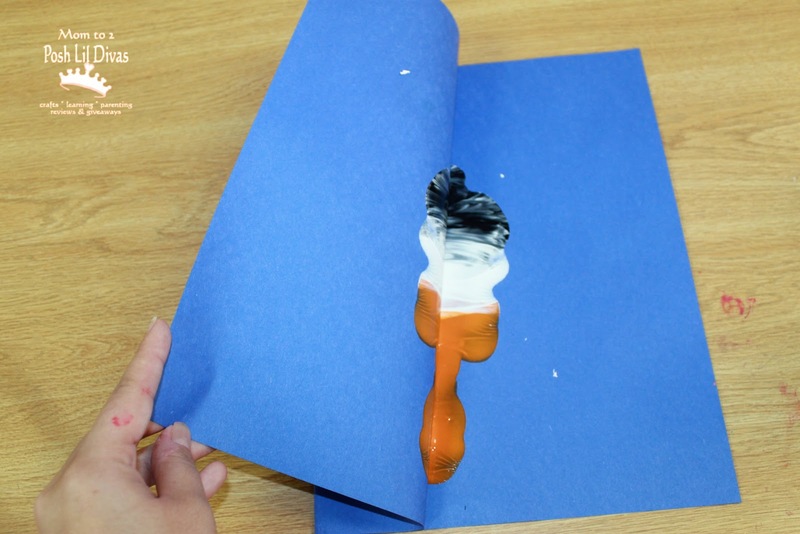 Fold your colored (base) paper in half. 2. 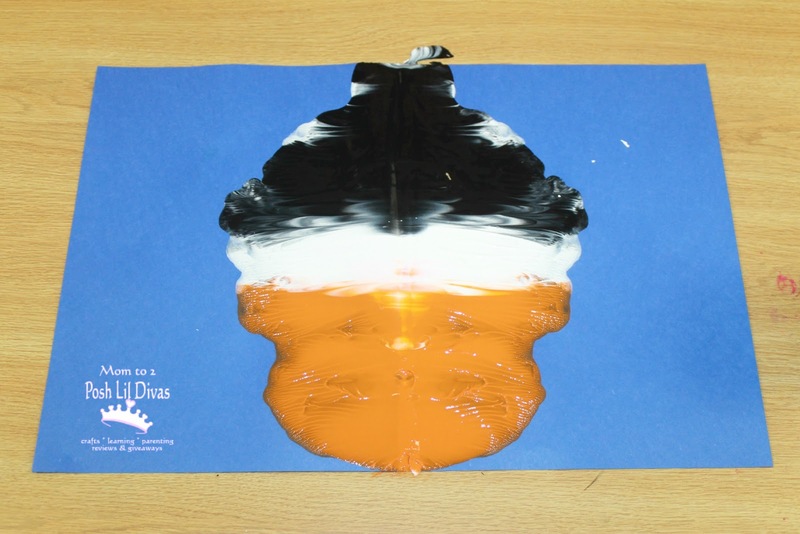 Let child squeeze black, white and orange paint onto paper. Encourage them to aim for the middle of the paper but keep to one side. You don't need a lot of paint. A little goes a long way with this blotto art. 3. Close paper and press/spread with hands. 4. Open to reveal your unique blotto penguin art. 5. 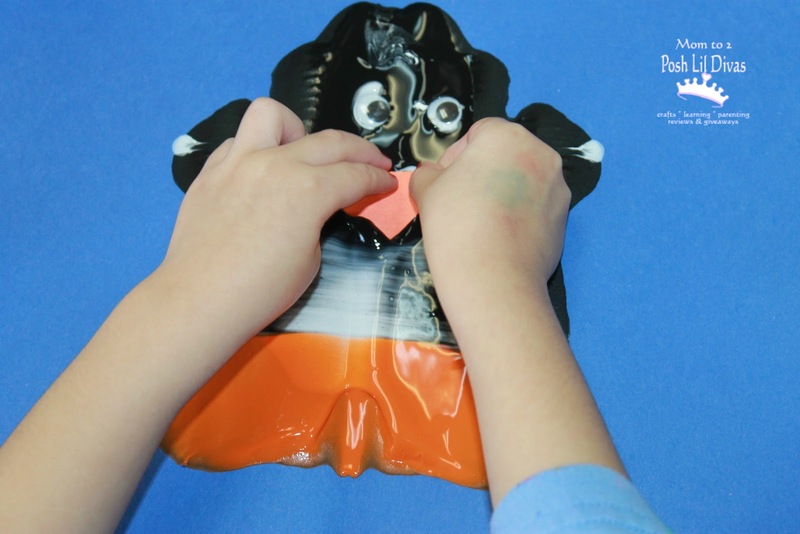 Add eyes and beak with glue and let dry before displaying. I loved having these little guys on display. They reminded me of Happy Feet and made me smile every time I looked at them. We read some great penguin books too. For even more penguin ideas check out my Penguin Ideas Pinterest Board. 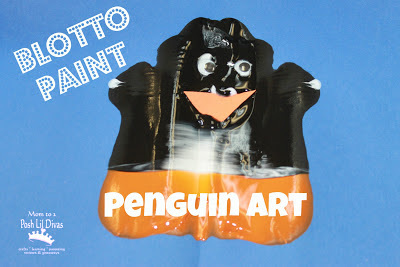 Have fun blotto painting some penguins! This is so cute and clever! It's amazing how much it looks like a penguin.